myArchstone, the resident portal website for Archstone properties, featured a payments screen for rent payments and lease renewals. 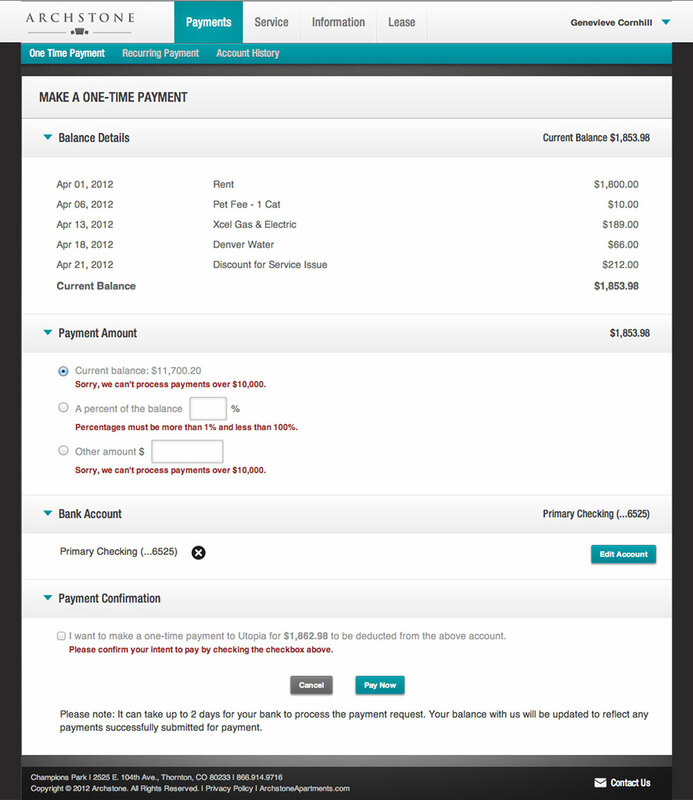 I worked with the internal Archstone development team to create the initial user interface for the payment process. "I worked with Eric for several years on Cherry Creek North's website - he was hired to take care of our web development and maintenance. He is reliable, easy to work with, punctual, knowledgeable, and truly a great partner to have. I can't say enough good things about him. Our website was constantly evolving and he was able to help us from the littlest of updates to larger complex projects with a great attitude and viable solutions for whatever we put in front of him. I would work with Eric again in a heartbeat and highly recommend him!"